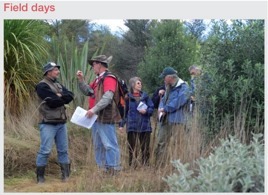 NZ Farm Forestry - Responding to moisture: How do Douglas fir and radiata compare? Responding to moisture: How do Douglas fir and radiata compare? Andrew Karalus, New Zealand Tree Grower August 2007. Three research projects undertaken for the Douglas fir Cooperative have set out to quantify the differences between Douglas fir and radiata pine in terms of the responses to moisture by the two species. Untreated Douglas fir and untreated radiata pine are assumed to be at similar risk of decay when used in the same structural situations. Neither is approved for use in the untreated state as framing for exterior walls except in buildings at a low risk of inadvertent moisture ingress. The first study was set up to determine the relative resistance to wetting of radiata pine and Douglas fir structural timber when both were exposed to the weather. It is well known that Douglas fir is a refractory species and its timber is difficult to impregnate with water, even under pressure. Radiata pine sapwood on the other hand, is much more permeable to water. Radiata pine heartwood has more variable permeability, some being as permeable as sapwood, some being almost as refractory as Douglas fir. Previous research has shown that a minimum wood moisture content of 27% is necessary for decay to be initiated in radiata pine sapwood when it is in contact with decaying wood. The conservative assumption was made that the minimum moisture for decay initiation is the same for Douglas fir sapwood and heartwood and for radiata pine heartwood. However, once initiated, the rate of decay would be less in most examples of radiata pine heartwood and even less in Douglas fir heartwood because of their comparative and greater natural durability than sapwood. 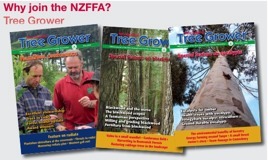 Co-operative Report No 36 describes two trials using Douglas fir samples from one central North Island and three South Island sources, with a heartwood and sapwood mix typical for each resource. Radiata pine sapwood and heartwood samples were obtained from a central North Island source. This material was exposed to the weather as horizontal studs in the first trial, and as horizontal and vertical studs in the second trial. The first trial ran over later winter 2003, the second more comprehensive investigation was from October to December 2003. Although both timbers would differ little in susceptibility to decay if they attained the same moisture content, there would be significant differences in resistance to moisture uptake if both were exposed to the same wetting regimes, such as that represented by rainfall. Being the more permeable, radiata pine would be expected to attain a moisture content suitable for decay much more readily than Douglas fir. In the first trial, after seven days exposure, radiata pine reached a moisture content of 27% which would sustain decay, and remained well above that moisture content for the remaining 48 days of the trial. However, the maximum moisture content attained by Douglas fir throughout the trial was only 21.8%. In the second trial, radiata pine sapwood rapidly attained a moisture content conducive to decay, and Douglas fir did not. Because of the warmer and sunnier weather during this trial, fluctuations in moisture content were more pronounced than in the winter trial. Samples exposed horizontally attained higher moisture contents than those exposed vertically, irrespective of wood species or relative heartwood/sapwood content. Conclusions from the trial were that Douglas fir is more difficult to wet than radiata pine, and under the conditions of the test, failed to reach a moisture content where there would be a risk of decay if it was in contact with decaying wood. Conversely, radiata pine reached this moisture content after just six days exposure to rainfall and never went below that moisture content for the remainder of the trial. Following this preliminary trial, the Douglas fir Research Co- operative commissioned a more detailed investigation to assess the moisture absorption characteristics of Douglas fir from South Island sources and to compare this with that of Douglas fir from the initial trial. This trial also aimed to establish whether there were any significant differences in moisture absorption between Douglas fir sapwood and heartwood relative to that of radiata pine sapwood and heartwood. It was concluded that Douglas fir timber shows significant positive differences from radiata pine in terms of susceptibility to moisture uptake. This trial confirmed the refractory reputation of Douglas fir, and the absorbent reputation of radiata pine. At a practical level, Douglas fir heartwood and sapwood can be regarded as equally impermeable. Independent of where in New Zealand it was grown, all New Zealand grown Douglas fir timber can be similarly classified with respect to moisture uptake, regardless of its origin. A subsequent study was set up to determine whether there was any fundamental difference in the moisture uptake between Douglas fir and radiata pine framing timber when they were submerged in water. This project was set up following concerns about the moisture uptake of house framing, and the introduction of the requirement to use treated framing for external walls. Douglas fir growers and processors were not convinced that this requirement for treatment of external walls for Douglas fir framing is necessary. The Building Industry Authority has stated that information showing the fundamental differences in relative moisture uptake of Douglas fir and radiata pine is needed before timber of the two species can be differentiated in the New Zealand building code. Water uptake of Douglas fir and radiata pine samples was compared. Short blocks of 100 mm by 50 mm by 25 mm, and long samples 1.2 metres in length, were selected to demonstrate the differences between grain orientations of both sapwood and heartwood samples. This was a tougher test compared with the earlier work, where under intermittent rain wetting conditions, the Douglas fir did not exceed the 27% threshold. The blocks were submersed in water and the weight change recorded at specified intervals over four days. At the end of the 96-hour monitoring period, all samples of both species attained a moisture content above the 27% threshold moisture content for decay. However the water uptake rate was slower for Douglas fir samples. For the long samples both samples of radiata pine reached 27% moisture content after 15 hours, Douglas fir sapwood took 48 hours and the Douglas fir heartwood 96 hours. Uptake was greatest in the longitudinal direction, followed by tangential then radial. At the completion of the study, radiata pine long samples averaged 50% moisture compared to 30% for the Douglas fir. A third study was to compare the stability between New Zealand grown Douglas fir and radiata pine structural timber when subjected to moisture cycling. There is a perception in the building trade that Douglas fir framing remains more stable during construction both while drying to equilibrium moisture content, if erected green, or when erected dry, than kiln dried radiata pine. Stud-length samples of radiata pine and Douglas fir were subjected to a number of wetting and drying cycles. Samples of Douglas fir, both green and dry, and kiln-dried radiata pine, were obtained from one central North Island and two South Island sources representing a typical mix of frame grade for each resource. Each stud sample was weighed and then scanned for any initial distortion using the Ensis Warpmaster. Samples were then positioned individually in a rack so they were free to move while equilibrating, and in the case of the green studs while air drying. When the green Douglas fir samples reached approximately 15% moisture content, all samples were re-measured for weight and distortion. Samples were then given a one hour soak in water to simulate rain wetting and re-measured for weight and distortion. This sequence was repeated a second time after re-drying the samples to approximately 15%. The trial confirmed the refractory reputation of Douglas fir, and the absorbent reputation of radiata pine. During the wetting and drying cycles, the radiata pine absorbed three to four times more water than the Douglas fir. The soaking period confirmed previous findings that at a practical level, Douglas fir heartwood and sapwood can be regarded as equally impermeable, independent of where it is grown in New Zealand. Increases in timber warp during the course of the trial were greater in green Douglas fir than in either dried Douglas fir or kiln dried radiata pine. The increased warp for green Douglas fir occurred during the initial two month period of drying rather than in the subsequent wetting and drying cycles. As a result of repeated wetting and drying cycles, the greater permeability and water uptake of radiata pine led to greater timber movement and warp when compared with Douglas fir. However, the difference in level of movement between the two species induced by these cycles was small, being generally less than one millimetre per stud length.